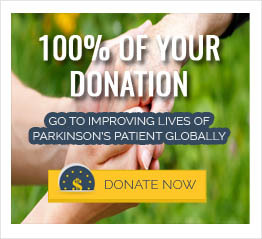 Although symptoms may vary from person to person, Parkinson’s is a multisystem disorder that affects many aspects of an individual’s physical, psychological, and social well-being. And while medications may help treat the more visible symptoms of Parkinson’s, identification of the invisible symptoms remains a challenge. Therefore, healthcare professionals need to be aware of the possible Parkinson’s stigma. The perceived stereotypical stigma of Parkinson’s and other negative attitudes may adversely affect the psychological well-being of a Parkinson’s patient. Dispelling certain myths about Parkinson’s may help address these negative attitudes. As suggested by Dr. Rana and colleagues, healthcare professionals should therefore educate themselves and others about the visible and invisible stigma associated with Parkinson’s disease. Dr. Abdul Qader Al Jarad, Consultant Psychiatrist, King Khalid University Hospital Riyadh, Saudi Arabia.